This article covers how to use Field59 to publish content to “Over-the-top” (OTT) apps, such as AppleTV, Roku, Amazon FireTV, and others. 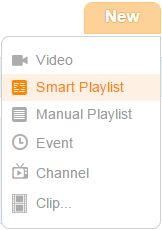 Publishing videos to OTT is achieved with our built-in Smart Playlist functionality. Through just picking categories and/or adding keywords, you can syndicate a video in just seconds. Each Smart Playlist automatically creates an MRSS feed that can be used by your OTT apps to display content. First, decide what category or keyword (or both) you want to use to syndicate your content. For example, a video about your local high school football team might have a Category of “Sports” and a keyword of “highschoolfootball”. Create a new Smart Playlist. Set the criteria for the playlist to match that category and/or keyword (you can set up a playlist to use Categories or Keywords or both.) 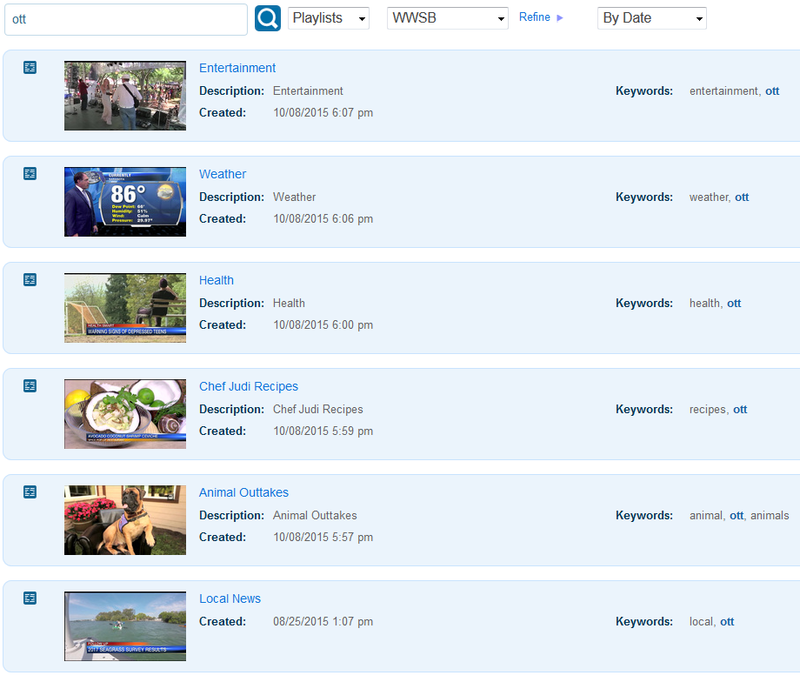 Any videos that match your Category and/or Keyword criteria will populate. You can also set how many videos you’d like, up to 100 (the example below only has one matching item). When you’ve done that, open your playlist. Copy the “Feed” button at top right. This copies a link to the MRSS feed for the playlist. You can drop this into a browser to view the content the feed currently contains (Firefox and Internet Explorer will display it in a reader-friendly format, while Chrome will display it as XML). Send this feed to your OTT app developers to add to your OTT platforms. 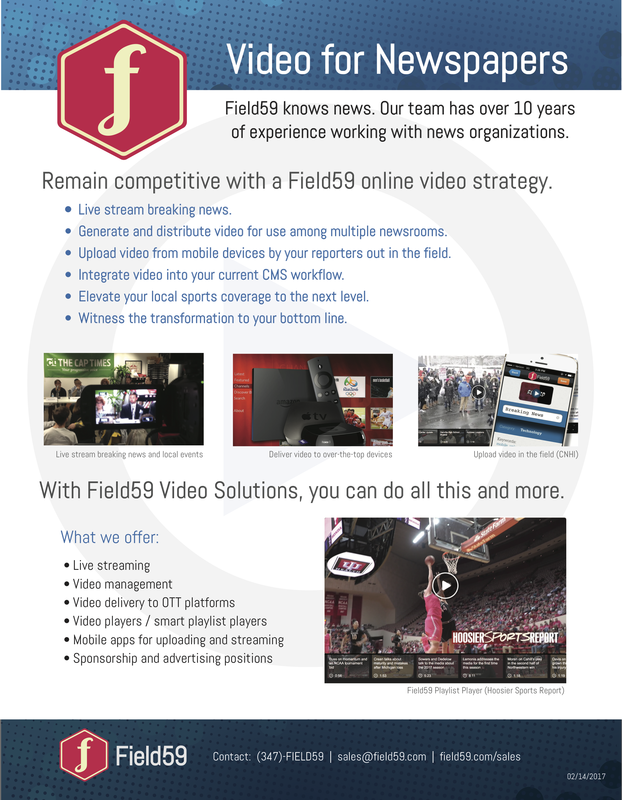 If you are livestreaming with Field59 and wish to publish your stream in one or more OTT apps, please contact our support team to provide/verify the stream URLs you need for your various OTT platforms. In most cases, the same stream going out on your website/mobile apps works in OTT as well.